Is Celgene Corporation (NASDAQ:CELG) undervalued? Investors who are in the know are selling. The number of bullish hedge fund bets went down by 1 lately. 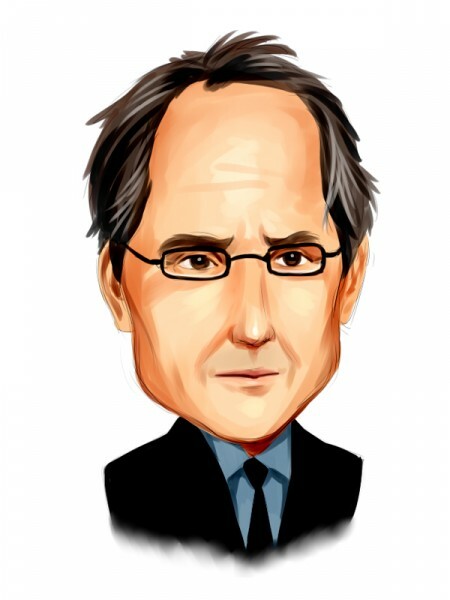 Our calculations also showed that CELG isn’t among the 30 most popular stocks among hedge funds. In today’s marketplace there are dozens of signals market participants can use to evaluate their stock investments. A duo of the less utilized signals are hedge fund and insider trading indicators. Our experts have shown that, historically, those who follow the best picks of the elite investment managers can outpace the market by a healthy amount (see the details here). Let’s check out the new hedge fund action surrounding Celgene Corporation (NASDAQ:CELG). At Q3’s end, a total of 56 of the hedge funds tracked by Insider Monkey were long this stock, a change of -2% from the second quarter of 2018. 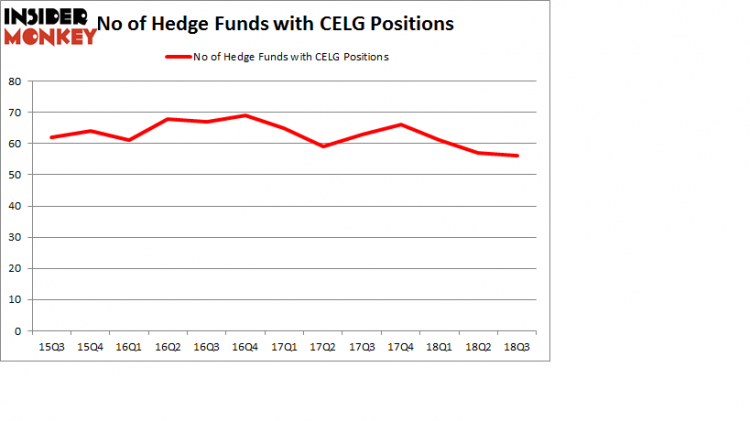 On the other hand, there were a total of 66 hedge funds with a bullish position in CELG at the beginning of this year. So, let’s find out which hedge funds were among the top holders of the stock and which hedge funds were making big moves. Among these funds, Orbis Investment Management held the most valuable stake in Celgene Corporation (NASDAQ:CELG), which was worth $929.1 million at the end of the third quarter. On the second spot was D E Shaw which amassed $385.7 million worth of shares. Moreover, Arrowstreet Capital, Two Sigma Advisors, and AQR Capital Management were also bullish on Celgene Corporation (NASDAQ:CELG), allocating a large percentage of their portfolios to this stock. Due to the fact that Celgene Corporation (NASDAQ:CELG) has faced bearish sentiment from the entirety of the hedge funds we track, it’s safe to say that there lies a certain “tier” of funds that elected to cut their full holdings in the third quarter. It’s worth mentioning that Stephen DuBois’s Camber Capital Management dumped the largest position of all the hedgies tracked by Insider Monkey, worth close to $79.4 million in call options. Israel Englander’s fund, Millennium Management, also dumped its call options, about $25.4 million worth. These moves are important to note, as aggregate hedge fund interest fell by 1 funds in the third quarter. Let’s go over hedge fund activity in other stocks similar to Celgene Corporation (NASDAQ:CELG). We will take a look at Occidental Petroleum Corporation (NYSE:OXY), Suncor Energy Inc. (NYSE:SU), Enterprise Products Partners L.P. (NYSE:EPD), and Chubb Limited (NYSE:CB). All of these stocks’ market caps resemble CELG’s market cap. As you can see these stocks had an average of 30.75 hedge funds with bullish positions and the average amount invested in these stocks was $815 million. That figure was $3.47 billion in CELG’s case. Suncor Energy Inc. (NYSE:SU) is the most popular stock in this table. On the other hand Enterprise Products Partners L.P. (NYSE:EPD) is the least popular one with only 22 bullish hedge fund positions. Compared to these stocks Celgene Corporation (NASDAQ:CELG) is more popular among hedge funds. Considering that hedge funds are fond of this stock in relation to its market cap peers, it may be a good idea to analyze it in detail and potentially include it in your portfolio. Is MGM Resorts International (MGM) A Good Stock To Buy? Simcoe Capital Management’s Returns, AUM and Holdings Billionaire Leon Cooperman’s New Stock Picks Here is What Hedge Funds Think About Movado Group, Inc (MOV) HMI Capital’s Returns, AUM and Holdings Is Mohawk Industries, Inc. (MHK) Going to Burn These Hedge Funds?